The Youth Employment Programme run by the Employment and Training Centre have launched a new website as part of the programme that aims to increase the employability of young people. The website is located at www.youth.org.mt. Abakus Solutions was behind the development of the website together with BRNDWGN, the company responsible for the design. The website is the result of a collaboration between the two companies. 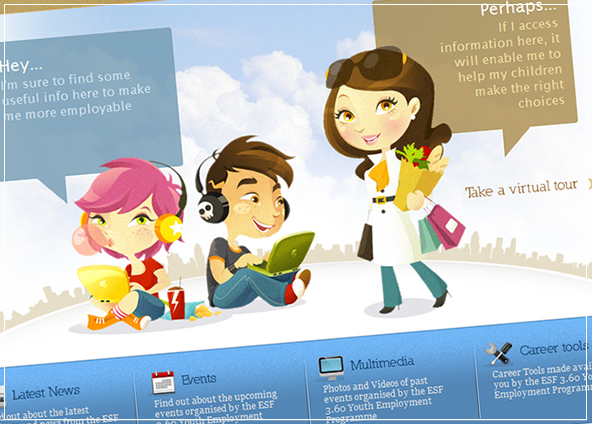 Apart from a vacancy search facility, the website offers valuable career tools and tips for the youngsters. Young people and parents can register to website and create their profiles. Young registered users can create their own profile with their job preferences and they can be alerted both by email and SMS when a job that matches their preference has been entered into the vacancy database. On the other hand registered parents can use their profile to enter their child’s job preference and they can alert their child be email once a job that might suit their children comes along. Registered users are also given the possibility to leave their comments on news, events and multimedia items. The website also offers for its registered users an online chat facility and an appointment booking system for those young people and parents who wish set an appointment with a youth worker, counselling professional or occupational therapist. Youth.org.mt is also available in high contrast & high visibility accessibility versions for the visually impaired and is also multi-lingual.